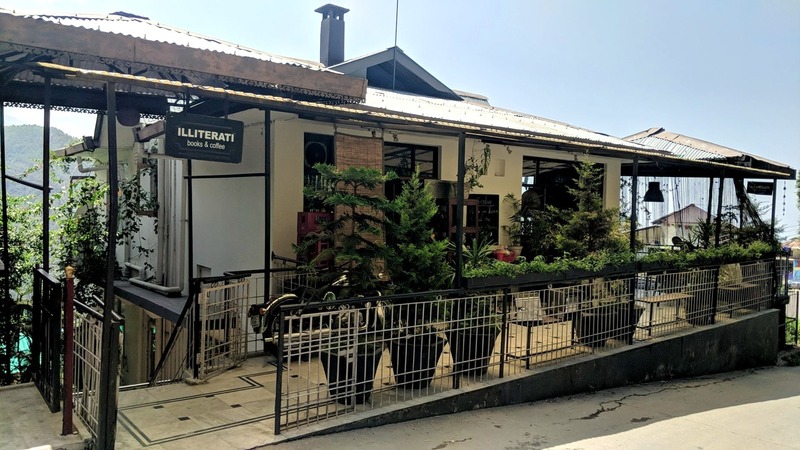 Away from all the Mcleodganj rush and noise, Illiterati is a cute and cosy cafe that offers not just delicious food but a great collection of books too. Like other cafes in the area, Illiterati serves mostly Italian food but what makes this cafe stand out is the freshness and the quality of food. Mostly everything is prepared in olive oil. Oh, and they have vegan and organic options too for all the health conscious. The staff is welcoming and cooperative. One can witness the breathtaking view of the Dhauladhar ranges from here. With the amazing collection of books, this cafe is an ideal spot for book lovers. You will often find people reading here while enjoying their coffee. Don't forget to try the desserts, there's something different available on different days. The service is too slow and they might take half an hour or even more for a pizza. Also, the quantity of food is comparatively less than the other cafes in the area. A lot of people are reading or working on their laptops even after they've finished their meal, so one might have to wait for a seat and/or table.